From US 50, take SR 48 to rt on Kaiser Drive to property on left. NO Signs! Please no driveby's as property is gated. By appointment only. Equestrian Estate! Gorgeous 27.6 acre horse farm, Custom 3BR,3BA brick ranch, 1 owner, updated kit. & baths w/granite & tile, stone see thru WBFP, Lg. MBR w/ MBA & walk-in closet, fin. 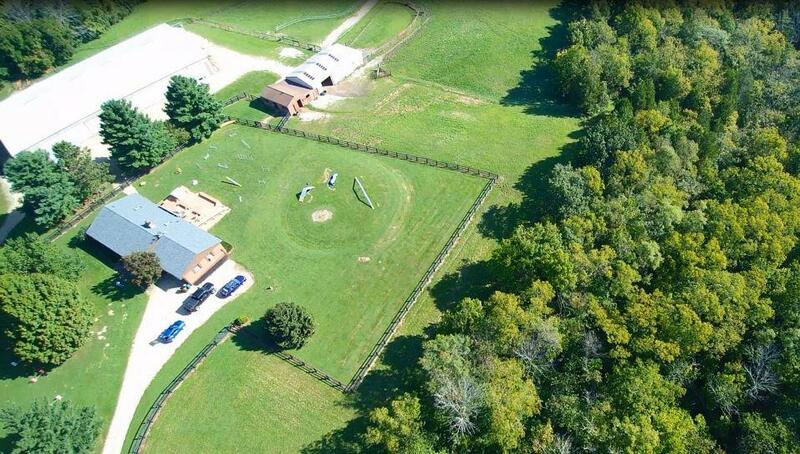 LL w/ walk-out, huge deck w/hot tub,95 x 162 barn w/(75 x 162)indoor riding arena , 8- (12x12) stalls, 28x74 barn w/ 3-(12x12)stalls,(200x80) outdoor arena & more!